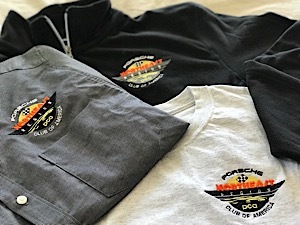 The Northeast Region (NER) of the Porsche Club of America has a bunch of great activities that you can get involved in. Whether your tastes are social, technical, or competitive, NER has something for you! 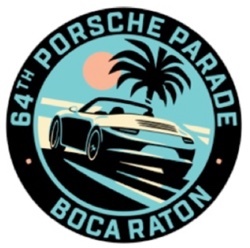 You can have fun in your Porsche by participating in driver education at area tracks, autocrosses, rallies, tours, tech sessions, car shows and more. Each year NER organizes a variety of opportunities to enjoy and learn about your Porsche, and your fellow enthusiasts. All of our events are posted in the NOR’EASTER and online in our calendar. You may also receive updates about events in our email blasts. Questions can be directed to the email addresses provided. A tour is a non-competitive driving event in which participants follow a given route on public roads to a destination (which may or may not be known in advance). Tours usually follow scenic routes (which are plentiful in New England) and/ or visit interesting or obscure destinations. Tours are sometimes combined with rallies to add variety and a dose of competition to the event. NER usually hosts two tours each year, one in the spring, and one in the fall, and always to fantastic destinations. A rally is a competitive event in which contestants attempt to follow a course specified by a set of instructions. Rallies are typically run on public, paved roads, and speed limits are always observed. The two major types of rallies are the Time-Speed- Distance (TSD) rally and the Gimmick rally. In a TSD rally, participants attempt to follow the instructions precisely, maintaining the correct speed, as points are deducted for arriving at checkpoints (the locations of which are not known in advance) early or late. A Gimmick rally is typically a bit less rigid and usually involves solving puzzles of some type. Prizes are often given for the most correct rallying. An autocross is a competition (timed event) in which drivers navigate their cars through a course defined by orange cones, usually in a large parking lot. Top speeds are generally moderate, topping out around 40-65 MPH (no higher than third gear for many cars). Competing cars are spaced at intervals—typically only one or two cars are on the course at any time. Autocross is a safe way to experience high-performance driving while learning to drive your car at its limit. NER hosts 5 autocross events each year, and an AX school in the spring. Our neighbors to the north, the North Country Region (NCR) also hosts 5 a year and many of the same participants compete in both regions. A driver education event provides a safe, controlled environment for high-performance driving instruction on a race track. DE offers drivers of all skill levels the opportunity to hone their driving skills, with the help of an experienced instructor, in a controlled, closed-course environment. In keeping with PCA philosophy, the primary emphasis at all times is on safety. A word of warning, though: the DE experience may be habit-forming! As DE events are not racing, nor preparation for racing, lap times are not recorded. NER and NCR share many events at such world famous tracks as New Hampshire Motor Speedway, Watkins Glen International, Calobogie Motorsports Park, Le Circuit Mont Tremblant, and Lime Rock Park. A club race is a wheel-to-wheel racing event. A race weekend consists of a number of practice sessions and “heats” (race sessions), often involving both “sprint” and “endurance” races. 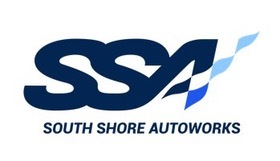 As a Club Racing license (issued by PCA National) is required for competition, club racers are serious and experienced drivers. The cars they bring with them to the track can be quite impressive! The Ground School will give you a great overview of NER’s on-track driving program. NER’s events are especially well known to be among the best organized, safest and the most enjoyable and rewarding DE events in this part of the country. Here you’ll hear how to prepare for an event, how and where our events are held and, most of all; you’ll learn how much fun it is. If you are new to NER/PCA then you owe it to yourself to come to the Newcomers meeting and learn what we have to offer. There will be displays, videos, presentations and a chance to ask questions of those who run each of our various activities. Driver Education, the Ramble, Autocross, Concours, Tours, Tech Sessions, Spontaneous Dinners, other social events and THE NOR'EASTER. Wow! As a member of the Northeast Region of the PCA, you can pick from a lot of different activities — lots of opportunities to meet your friends, learn about your car and, best of all, drive your car! Even if you aren't a newcomer, are you really sure that you are getting all you can out of the club? Or, would you just like a chance to see your friends, hang out and start thinking about the 2013 driving season? Often NER members tour a specialized facility, like restoration shops, race shops, or museums. We also often host famous speakers to come and tell their stories. Once a year we host Porsche and Polo, a picnic event in Hamilton, MA that gives you a pitch side seat of a polo match, and a chance to show of your Porsche. The annual holiday Gala is a great place to dress up, and meet other enthusiasts. Awards are given, and dancing is done. This is an especially fun and elegant evening. Other social events include “Cars and Coffee,” which is just what it sounds like. We gather someplace that allows us to park our cars in one lot, grab a cuppa, hangout, talk and share. Spontaneous Dinners are just that, we make the plan, you decide if you want to show up. These regional events take place south of town, on the North Shore, and in metro west Boston. There’s no R.S.V.P. needed, and our members are encouraged to organize one near them. 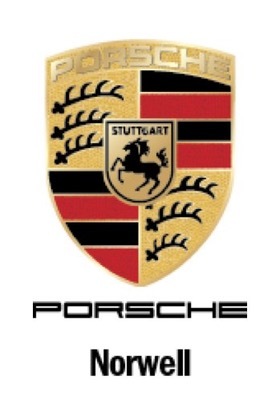 Get to know your Porsche neighbors! A tech session is a session in which a technical topic is discussed. Not just for gearheads, a tech session may demonstrate practical, “do-it-yourself” procedures such as brake bleeding. Tech sessions are usually presented by experienced Porsche technicians, many of whom are sponsors of NER events and the NOR’EASTER. NER hosts a few tech sessions each year, typically in the “off months” when few driving events take place. A concours is essentially a car show, in which contestants endeavor to present their cars in as close to “perfect” condition as possible. A number of judged categories usually exist, typically differentiating between types of cars (e.g. 356, Boxster) and level of preparation (“top only” or “full preparation” or somewhere in between). Cars sometimes may be entered as “display only,” for owners who wish to participate but not compete. There’s so much to do, all year round in the PCA, so come, and join in, meet fellow enthusiasts. Remember, it’s not the cars, it’s the people!